The new Nexon helps Tata up 31% in March. The Indian new car market gains 6.1% in March to an estimated 297.861 wholesales, a new record for the month lifting the Q1 2018 volume up 7% to 855.983 units, also a new record. Brand leader Maruti manages to more than double the market growth at +15% to 49.4% share, exactly the same level as YTD (+11%). Hyundai follows the market at +7% to 16.1% also equal to its YTD share, while Mahindra trails it slightly at +4% to 8.1%. Tata continues to stun with a fifth consecutive 30%+ gain at +31% to 6.8% share in 4th place, passing the 20.000 monthly unit-milestone for the second time this year after January. Reversely Renault (-37%), Honda (-28%) and Volkswagen (-22%) are all in great difficulty. The Maruti Alto manages to snap the #1 model spot for only the 2nd time in the past 8 months thanks to wholesales up 24% year-on-year. It however remains #2 YTD below the Maruti DZire, up 40% to #2 this month. The Maruti Swift (+24%) benefits from the arrival of the new generation to rank #3 both in March and YTD, ahead of the Maruti Baleno (-1%) and Wagon R (+17%). The Maruti Vitara Brezza (+31%) also shines in a Top 10 obliterated by Maruti and Hyundai: among all other manufacturers present in the country (23), only the Mahindra Bolero manages to rank among India’s ten favourite nameplates. 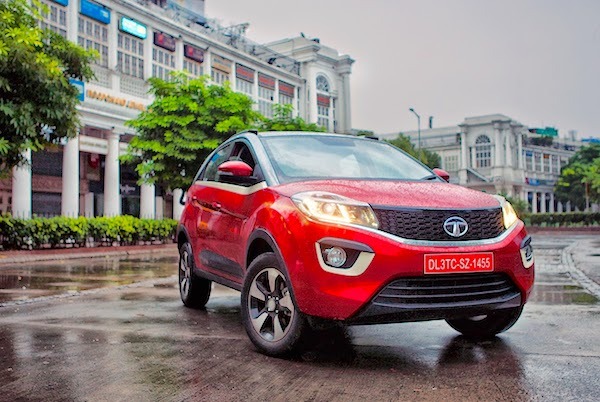 The Hyundai Verna (+377%), Maruti S-Cross (+88%), Tata Tiago (+76%) and Mahindra TUV300 (+38%) also make themselves noticed while the Tata Nexon tops all recent launches at #23 above the Jeep Compass at #33. Full March 2018 Top 25 All-brands and Top 85 models below.